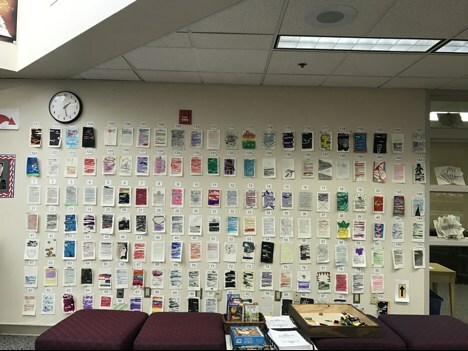 In honor of National Poetry Month, Douglas Middle School Library celebrated by having students grade 6 – 8 participate in book page poetry (sometimes called black out poetry) and book spine poetry. Students created their poetry on their own or in groups. Voting will be open for 2 weeks and the winners of the poetry contests will be awarded prizes.